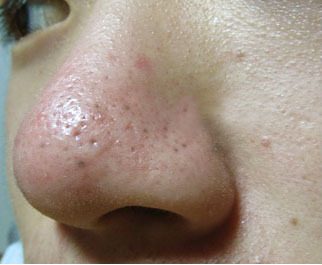 The next question you may have is, what’s the main cause of blackheads? What’s mainly causing it is the overproduction of oil, which only makes it worse for people with oily skin type (poor me). It doesn't however, mean that people with dry to normal skin type are totally free from it. In fact, regardless of our skin type we can all suffer from blackheads due to various reasons other than just overproduction of oil. Now, can we do something about it? Of course! While using a facial scrub on a weekly basis (or it depends on the facial scrub you’re using) can help, it doesn't eliminate blackheads permanently and some facial scrubs are just not that effective. Visiting your derma for an extraction is really effective but could be a little bit painful (depending on your pain tolerance) both physically and well… financially, hahaha. How about using nose/pore strips? Oh yes! That too, can help. I remember using a few when I was still a teenager (oh gosh, I feel old now!). You know the problem with the typical nose strips? It lures us into thinking that “Hey! Here are all your gunk, your nose is now totally blackhead-free!” but after using it, those blackheads just grow back way faster and worse, even turn into an unexpected acne breakout. Why is that? It is because using normal pore strips or even just the typical squeezing ‘em with our fingertips (don’t tell me you never did that! Hahaha) to remove those blackheads could actually enlarge the size of our pores without us knowing it and could leave a zit or worse, permanent scars on our skin. Sad, isn’t it? Cheer up! 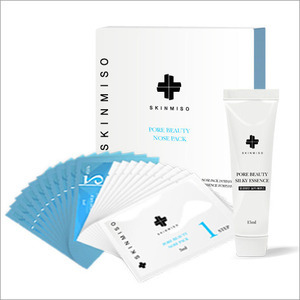 Have you heard or read about Skinmiso Pore Beauty Nose Pack?